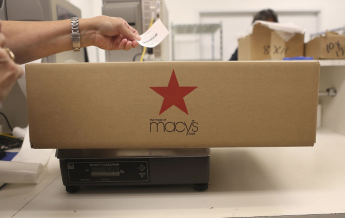 Hot on the heels of the recent news that eBay are withdrawing from the same day delivery market comes word that amongst large retailers it looks like Macy's Inc. are positioning themselves to compete in multiple markets with Amazon.com. Amazon's growth in the last nine months for same day services has been nothing short of stunning and Macy's seem to be the traditional retailer most likely to contend in the same day shipping stakes. With this move Macy's are sending a warning sign to competitors that they view on-demand delivery as a niche that they want to develop and dominate and the metropolitan areas falling under their umbrella of same day services will now number seventeen in total, three more than even Amazon is offering at present. There is also no reason to expect that Macy's expansion will cease there when you consider that they have almost 900 stores across the nation, each one housing the inventory to act as a small focused distribution center.